Left to Right, Sonnet, Indi, Kellie Hughes, Inka, Sylvi and Coco is laying in front. Our dogs all have their unique personalities and characteristic. and we hope you enjoy reading about them. 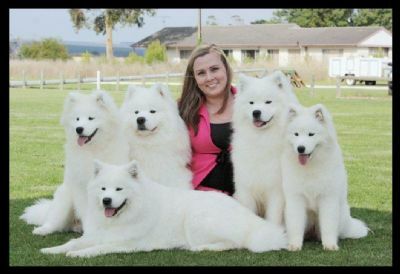 They are show dogs, but first and foremost they are apart of our family, and their owners families. * To view their pedigrees please click on "view more details" located below their photo.